I buy a LOT of stuff on Amazon. I buy everything from beauty products and toilet paper to shoes and home decor. You can literally find anything you want on Amazon and you just can’t beat that two day shipping with a Prime membership! And don’t get me started on how useful a Prime membership is, I have been a Prime member for over six years and I think it is some of the best money I have ever spent! As we all know, I am super passionate about skincare and since my drugstore skincare post did so well a couple of weeks ago I thought I would share with you my favorite Amazon skincare purchases because like I said then, good skincare does NOT have to break the bank. 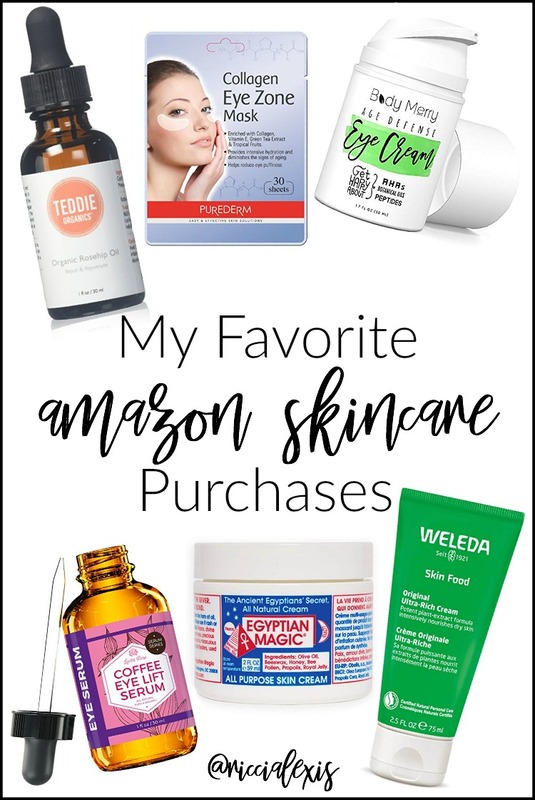 I have found some amazing products on Amazon that actually work and don’t cost a fortune and since y’all love budget-friendly skincare as much as I do I hope you will find something you want to try on this list! ONE. 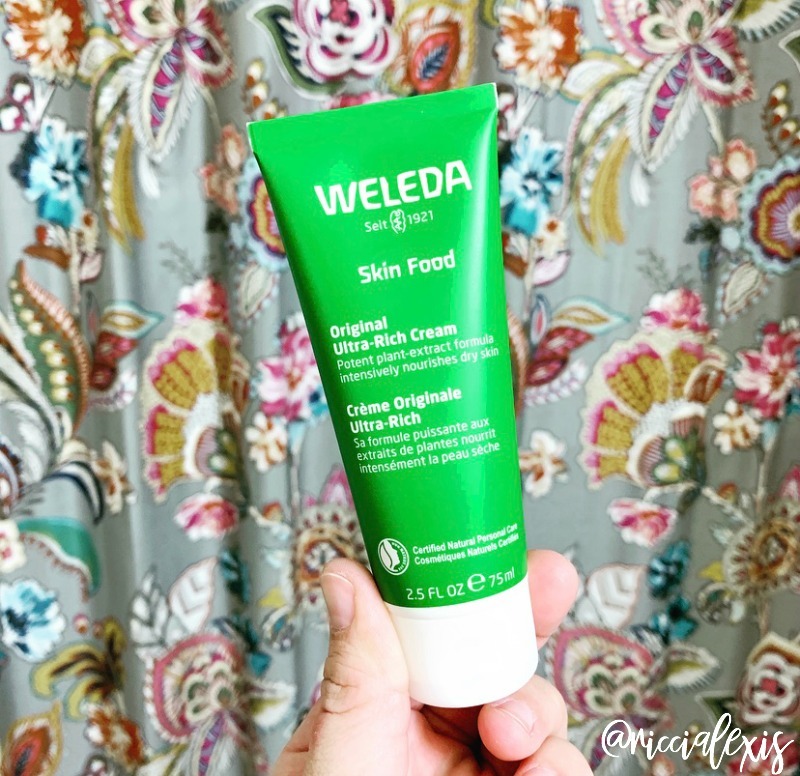 Weleda Skin Food. This product is a universal multi-function moisturizer and has since become a cult favorite among celebrities and makeup artists and some even say a dupe for La Mer’s Creme de la Mer! It is a steal at $10 for a tube and I have been using it as a nighttime moisturizer for a couple of weeks now and I am LOVING it!!! TWO. 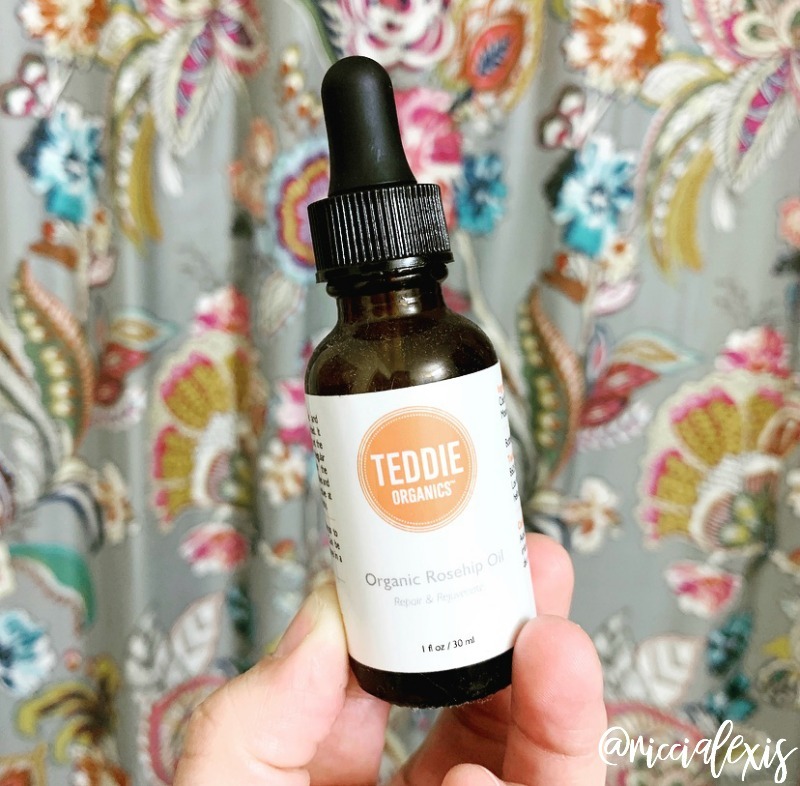 Teddie Organics Rosehip Oil. A few years ago I read that the Duchess of Cambridge swears by using a Rosehip Oil on her face as a serum and so I have been on the search for a good one ever since. I remember reading about this one on a blog and purchased it on a whim and am LOVING it! If it’s good enough for a Duchess, it’s good enough for me! Plus it’s only $12.99! THREE. Body Merry Age Defense Eye Cream. I have talked about this eye cream a few times on the blog and I am still loving it. I admit that the packaging was the first thing to catch my eye and then the ingredients sold me on the whole line. This eye cream not only firms & tightens the delicate skin around your eyes, but helps to directly address sagging + wrinkles + crows feet with the power of nature’s best & natural ingredients, like aloe for much needed moisture & CoQ10 to fight free radical damage & loss of collagen + elastin. 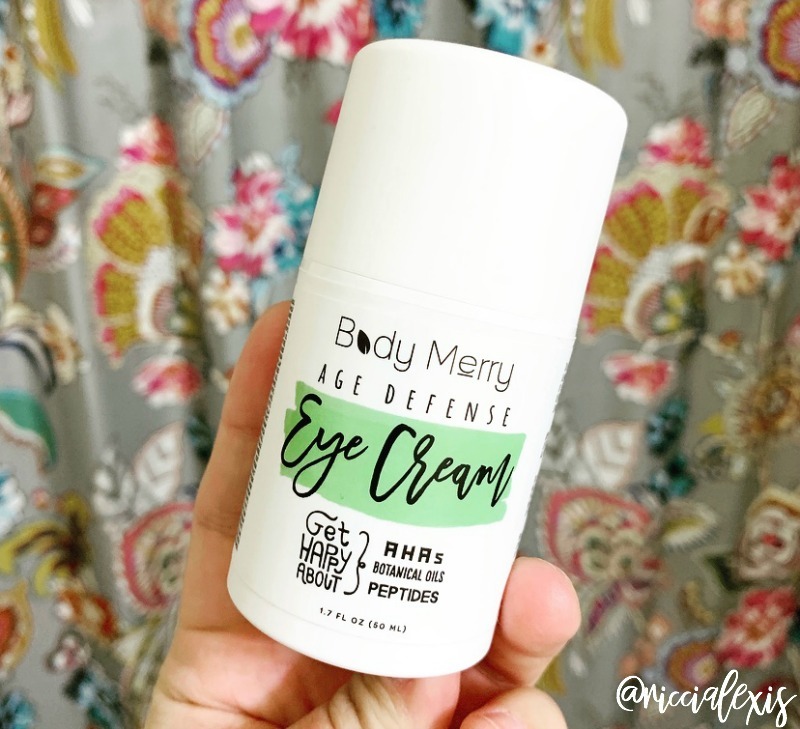 Body Merry products are all Leaping Bunny Certified and this eye cream is only $16! FOUR. Egyptian Magic. 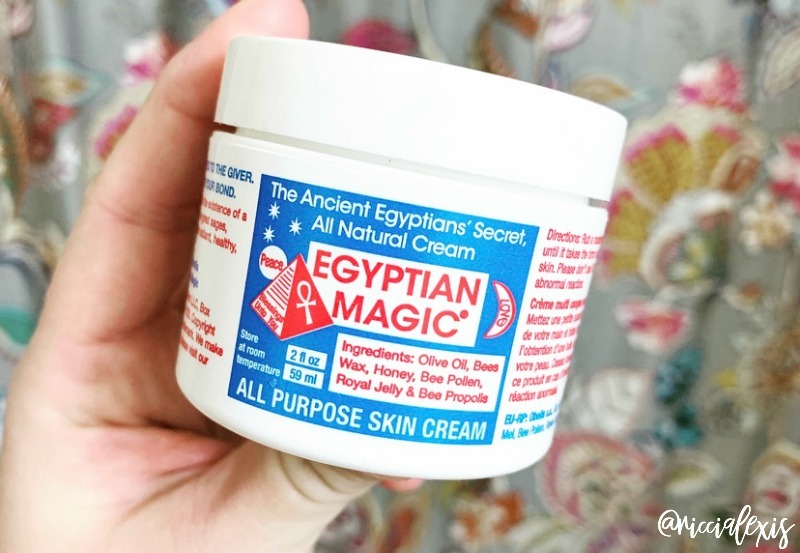 This is an all-over body cream that is just fantastic. It contains olive oil, bees wax, honey, bee pollen, royal jelly, and more! I like using this thick cream on my elbows and dry spots. I don’t know about you but sometimes I get random dry spots on my face and I just dot this stuff on my face before bed and when I wake up the dry spots are gone! It’s a super thick balm but turns to an oil when you rub it into your skin. Like the package says, it’s like magic! This product is a little pricey at $22 for a 2 ounce jar but I have had my jar for over a year and it’s not even halfway gone so it’s worth it! FIVE. Coffee Eye Lift Serum. Just like your body need caffeine to wake up, so do your under eyes! 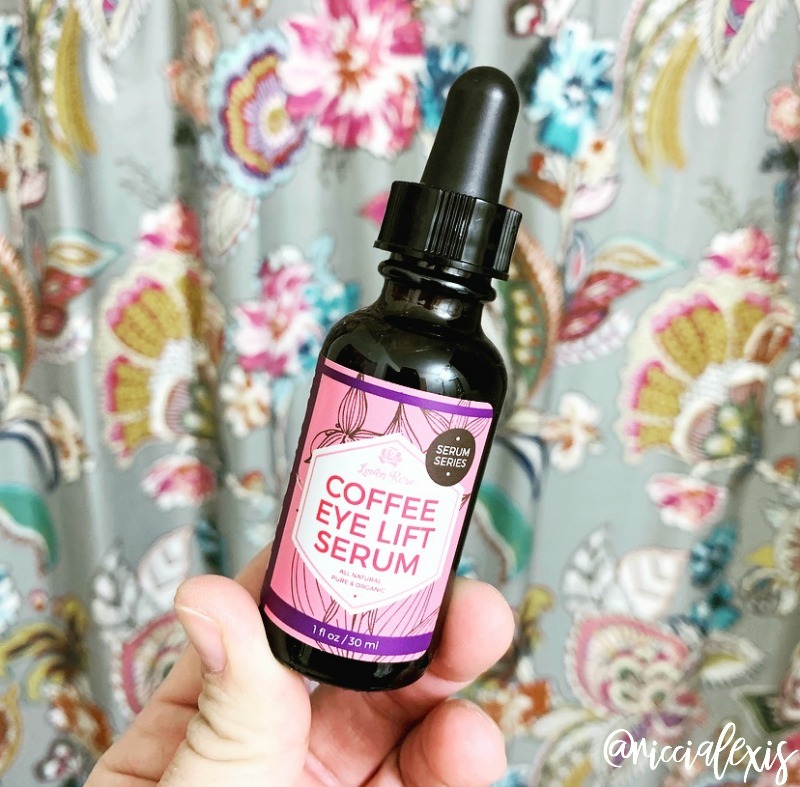 I love using serums that contain caffeine to brighten my under eyes and reduce puffiness and this coffee eye serum is one of the best! The only issue I have with it is that it’s a little oily and takes a little bit to dry so I usually only use it at night. It does have a coffee scent to it so that may wake you up…LOL! And it’s less than $20!! SIX. 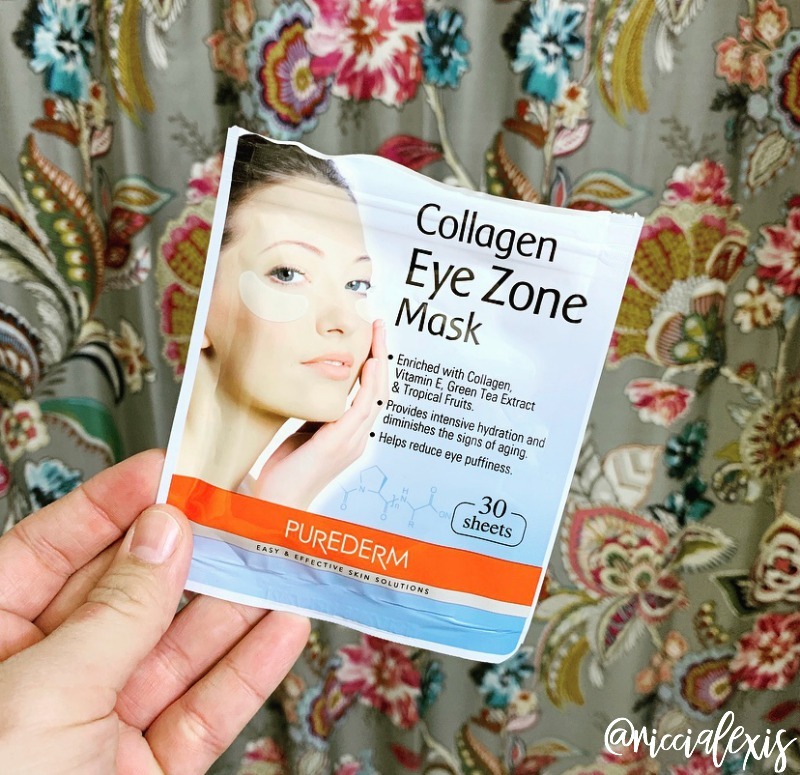 Collagen Eye Zone Masks. These may be the cheapest eye masks ever made but they really work! I got a four pack of 30 sheets/pack for under $8!!! You can’t beat that price!! I usually use these are soon as I wake up to de-puff my under eye area and get it ready for the day! These would be great to purchase and then give to friends, or keep them for yourself if you love them as much as I do!! And there you have it, my favorite Amazon skincare purchases!! All super budget friendly and they all work!! If you have an Amazon skincare fave let me know in the comments!! Do you shop for skincare on Amazon?? Amazon here I come to check out some of your suggestions. The over all body cream sounds wonderful and I like how one say food skin. These all sound like great beauty products. I would love to try the collagen mask I think the skin around my eyes would benefit from this. I just love Amazon! I shop there often. I’ll have to look into these for sure. I’ve been looking for some quality skincare products! I just heard of a Gyptian magic like two weeks ago and it sounds like it would work really well for what I need. I can eat something with my skin is less dry or less wrinkly I am all for it. I purchase the rosehip oil a couple of years ago on Amazon. My skin was going through a transition. I have to revisit it. I have used the same skincare routine for years. I probably need to re-evaluate it and invest in some new products. All of these products are things I would love to try. I usually get them from a TJ MAxx or Target, but Amazon is so convenient. I have that eye cream and it is awesome. I’m going to check out some others on your list. I’ve been looking for an eye mask. I’ll have to check this one out on my next Amazon order. I have heard good things about that Weleda, but I don’t think I’ve seen most of the other products. I’m interested in the ancient Egyptian one. I would be all over the Weleda Skin Food cream. I am on the hunt for a good night cream, and I will be looking more into this one! I have to try the collagen eye zone mask. My bags are real and need some help. I need to try those collagen eye masks. I know I would love them, I love anything that makes my eyes appear more awake! I’m an Amazon addict – I got like 7 packages in today alone. 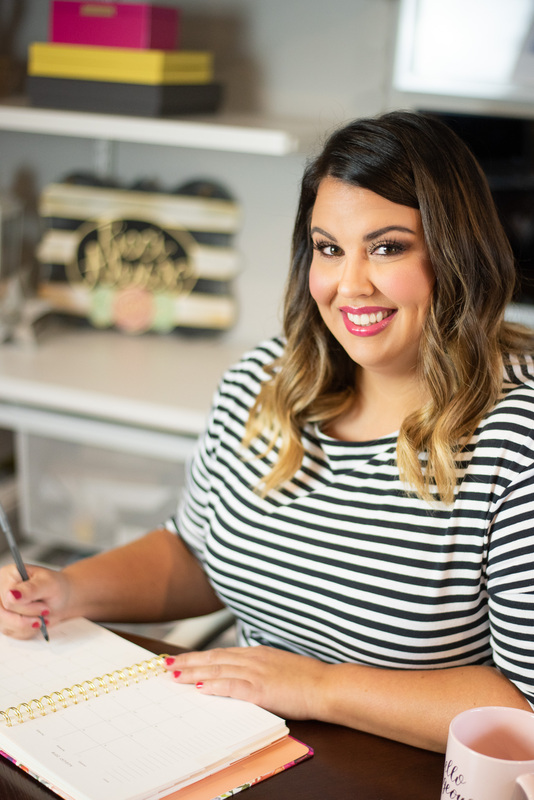 I haven’t tried any of these particular skin care products, but will definitely be checking them out! I’m always looking for new, good skincare! This is a good variety of products and your reviews seem like they would be really helpful for anyone looking for new products. My wife would like this post. Thank you for sharing! Not a big Amazon shopper but it’s a place I shop to during big Holiday like Christmas to avoid the big crowd. I haven’t tried buying skin care products from them. I have that collagen eye zone mask but haven’t tried it yet. I am excited to try it because of your review. Yay! These are such great finds on Amazon. One of things I love about shopping on Amazon is finding the unique and difficult to find products. I’m quite intrigued by Egyptian Magic. Sounds like something I’d love to have around for those dry spots! Thanks for the introduction to these amazing products. These are all products that I would like to try. This Coffee Eye Lift Serum sounds amazing!